There are some people who think Hawaii is overvalued. There are some who consider Hawaii extremely expensive. There are some who do not even know where Hawaii is located. Do you know what they all have in common? They make a huge mistake! 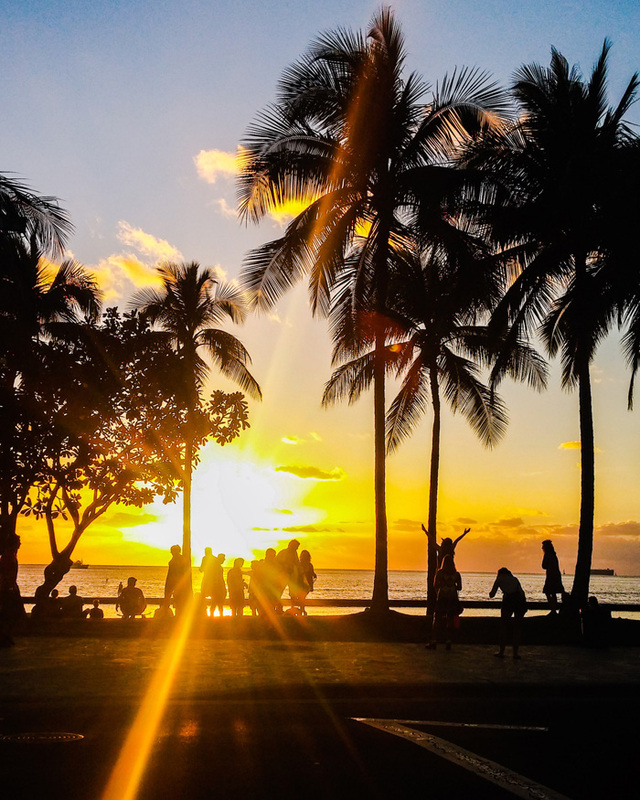 Because Hawaii, with its 8 beautiful, tropical islands, is the living proof that there is MAGIC! Of course, when we think of exotic destinations our mind does not even go to United States, but the truth is that even though Hawaii is the 50th State of America, it really belongs to another world. A world unreal, a magical world, a world of incredible sunsets, a world of warm tropical weather, a world of beaches that do not look like anything else you've seen, a world where people are constantly smiling and wearing colorful clothes. 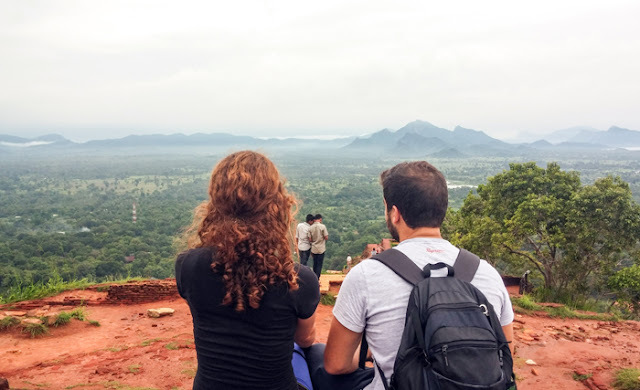 So if your way takes you to this small, magical State, do not skip to see as many of these 10 magical spots as you can. Haiku Stairs or Stairway to Heaven as they are known, are located on Oahu Island and as their name suggests, they are stairs leading you so high that if there is a paradise it will probably be somewhere very close! 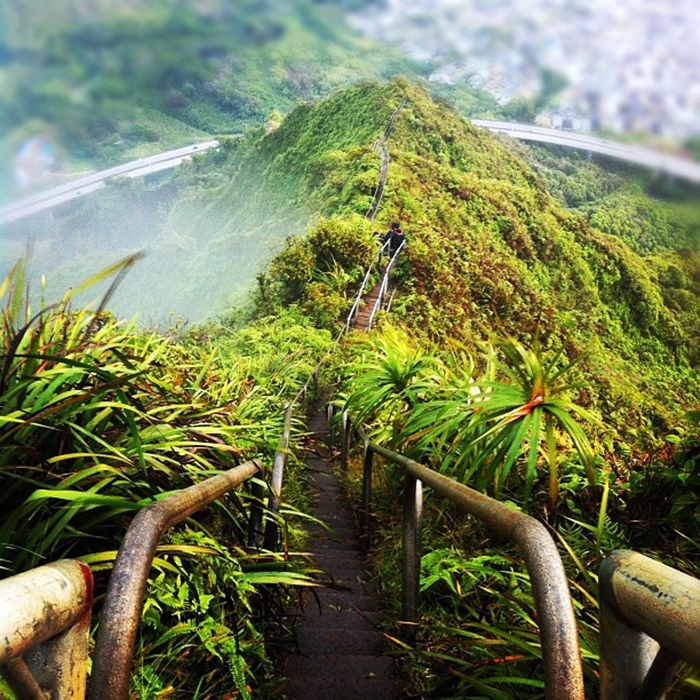 Haiku Stairs is a steep hiking trail with a total of 3,922 steps in the Ko'olau Range. Built in 1942 by the United States Navy as a highly private facility. Since 1987 there has been an sign prohibiting the public from climbing the concrete stairs, since it is now considered illegal, but this does not seem to stop hundreds of tourists every year trying to reach "paradise". 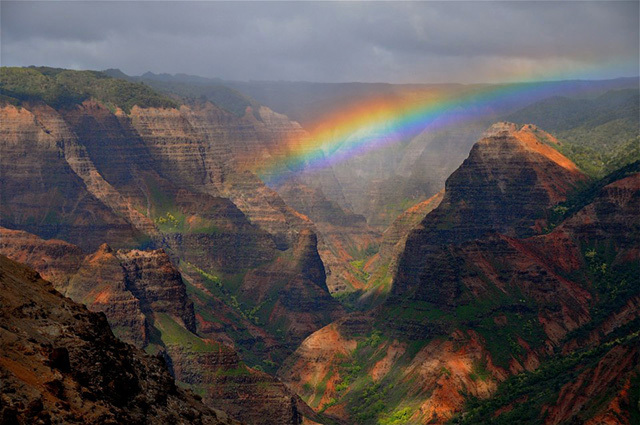 Waimea Canyon is also known as the Grand Canyon of the Pacific. This impressive canyon on Kauai Island is 16 km long and its depth reaches 900 meters. There are many paths that can be followed, while alternations in the landscape are intense, as the tropical places with the towering waterfalls follow the deserted landscapes. My favorite beach in the world! Lanikai Beach is the beach you came to Hawaii for and the reason why many have never left. 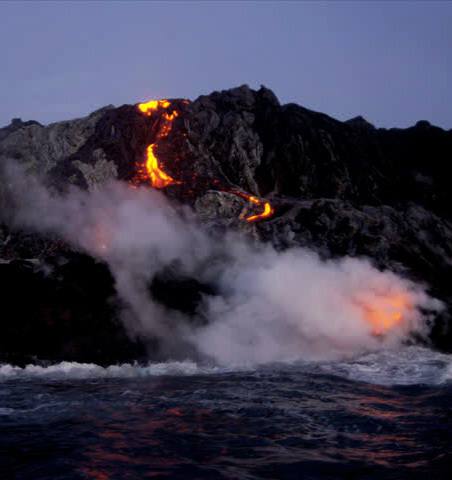 Its name in Hawaiian means heavenly sea and is undoubtedly the most suitable name that could have been given to it. It is a vast beach with white sand and calm waters. The trademark of the beach is the 2 small islands located a short distance from the coast and which are ideal for kayaking exploration. 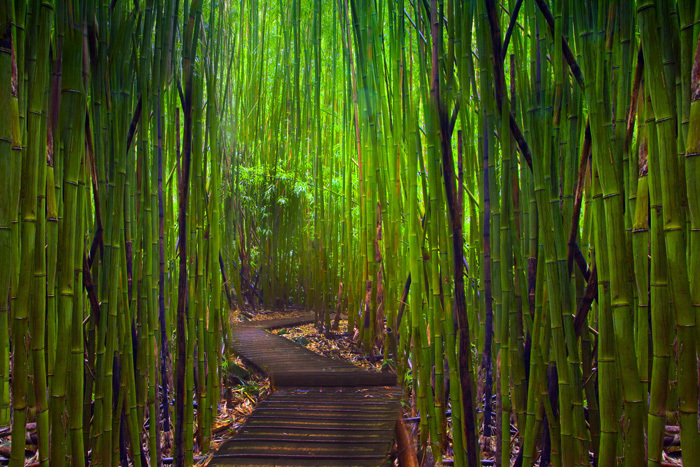 The Bamboo Forest is located in Haleakala National Park in Maui. I think bamboo are some of the most impressive trees I have ever seen, so imagine how impressive a whole forest of them can be. 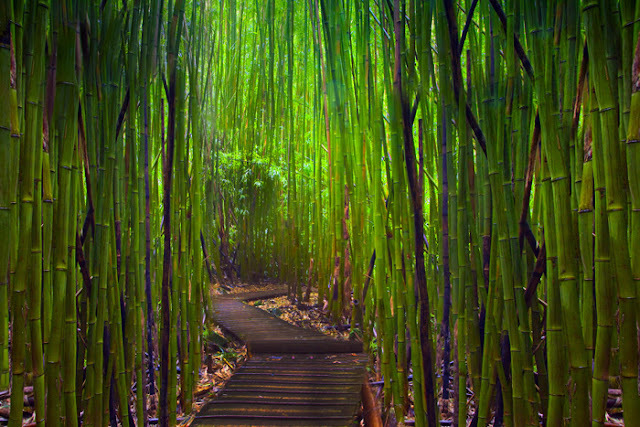 Imagine yourself walking among tall bamboo trees (so high that they hide the sun), on shady paths, listening to the sound of the waterfalls and the sound of the wind blowing on the trees. You may have visited many parks in your life but on Big Island in Hawaii is located the most different park in the world. 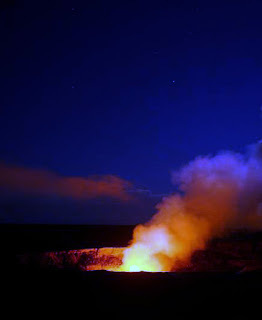 The Hawaii Volcanoes National Park, an incomparable geological spectacle and an active reminder of the power of nature. The spectacle is impressive, as the flaming red lava falls into the Pacific Ocean, while the sky is lit by lava fireworks at night. Few lines above I told you about Lanikai beach. Now I'll tell you about Lanikai Pillboxes. Just a few meters behind the beach, it is the beginning of the Lanikai Pillbox (Kaiwa Ridge). The Pillboxes were military observation stations during the World War II and today they are the best place to enjoy the beautiful beach of Lanikai in all its grandeur. If you are an early bird (and even if you are not! ), climb here early in the morning to enjoy the sun rising above the Pacific Ocean. In the northern part of Oahu, there is a surfers paradise. 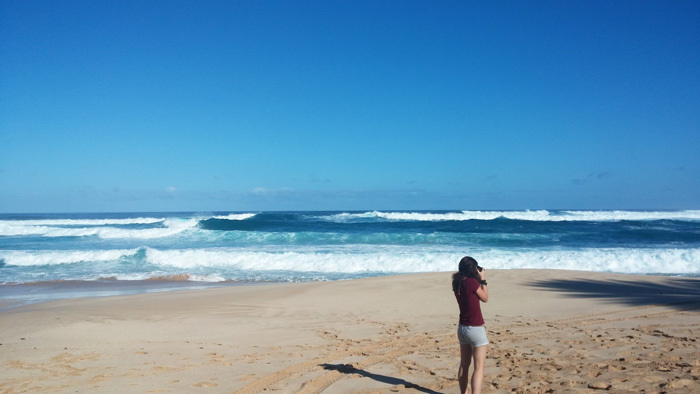 The most famous beaches in North Shore are Sunset and Pipeline. Professional surfers from all over the world, overwhelming the beaches of the North Shore, seeking to master the best waves in the world. The day we were there was the first day of the surfing world championship, but it was postponed for the next day because the waves (seen in the photos) weren't big enough! 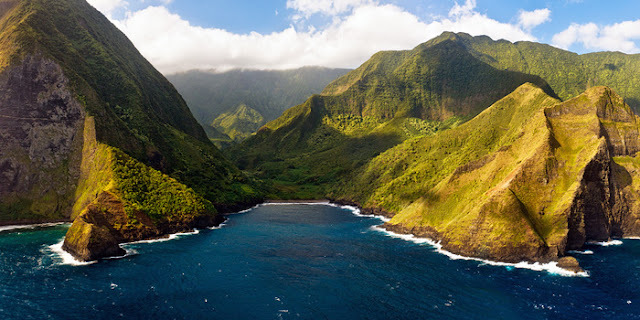 The rocky shores of Molokai are the world's tallest sea cliffs, as their peaks are 1.2 km higher from the sea level. The rocks are not accessible by car, so travelers have to go down a path among the rocks. If you do not want to stay on Molokai Island however, the best way to admire this stunning nature miracle is to rent a helicopter from Maui. The islands of Hawaii are ideal for hiking. 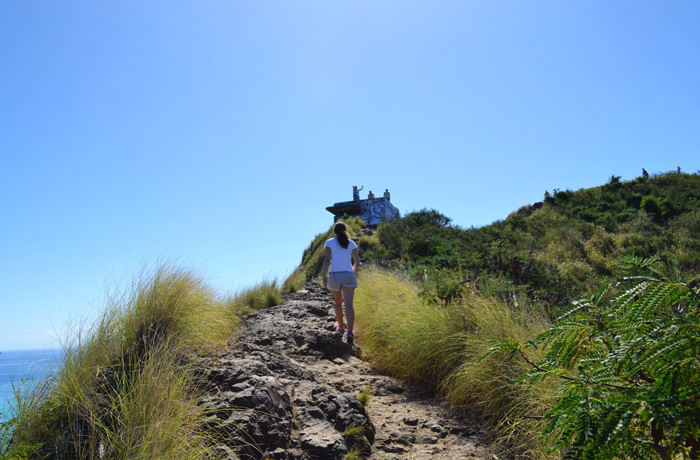 One of the easiest and at the same time the most popular hiking in Oahu and perhaps the most popular thing to do on the island after Waikiki Beach is the Diamond Head Crater. It takes about 30 minutes to get to the top where the view of Honolulu and the Pacific Ocean is breathtaking. It is a fact that in this State everyone seems so happy. And when I say everyone, I don't mean just the people... Even the trees (at least the eucalyptus) here look happy. 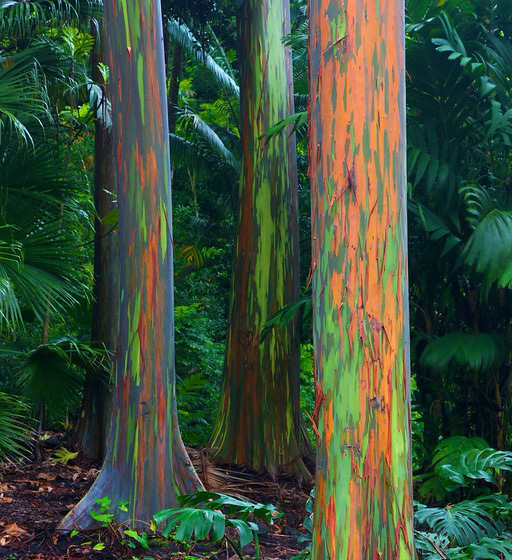 Eucalyptus exist in many countries of the world, rainbow eucalyptus though can be found in only a few parts of the world and Hawaii is one of them! They are called Rainbow Eucalyptus because their trunk consists of various colors, the most common of which are green, red, orange and blue. 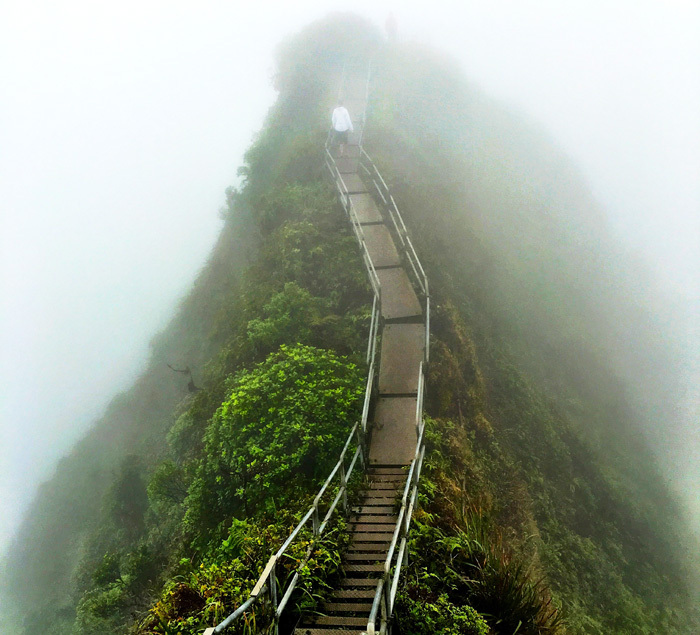 I luv luv those items, I've been to Oahu 2 times didn't know about the haiku stairs. Wow! These places all look incredible! If Hawaii wasn't already on my travel list, it is now! Wow! These places really too beautiful, Very very interesting post. Thanks for sharing. Such a beautiful place. Thank you for sharing these places in Hawaii. Your photos are amazing!